As you may have gathered I am a really big fan of cloth nappies. I really wish I had used them with all of my children, however the first time I used them from the beginning was with my youngest daughter. 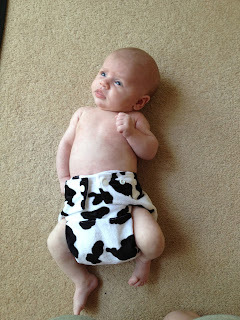 I think one of the best things about cloth nappies it that there is such a wide range of them. With disposables they are all the same generic design so you can't really adjust the fit of them. 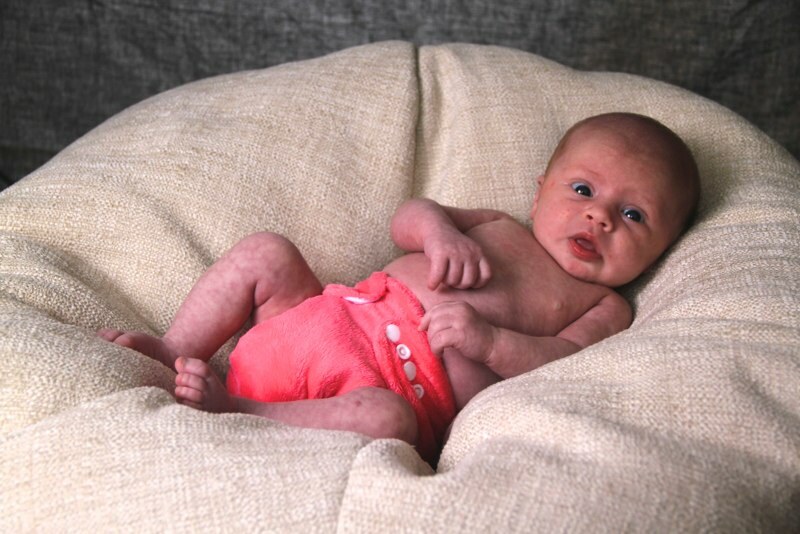 With cloth nappies there are different sizes, different absorbancies, different colours and different fastenings, so you can get ones that a almost taylor made for your little one. 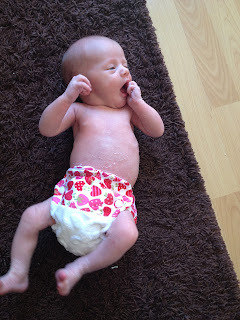 I thought I would show a few different types of nappies and explain a little bit about them. The nappy to the left was a custom made nappy. I got to pick what size it was and what material it was made out of. This particular nappy was made out of cotton and minki and was a teeny tiny newborn nappy. It has poppers on the side to fasten it but you can also have nappies made with aplix which is like velcro. There were three sets of poppers on both the waist and hips so it was very adjustable, Layla had small legs so she always wore it on the tightest setting. The nappy to the right is a Baba+Boo birth to potty pocket nappy. Birth to potty nappies have poppers down the front to adjust the length and poppers or aplix on the waist to adjust the tightness. These nappies are made to last right from birth up until your child is potty trained. There is a pocket at the back to put inserts and boosters to absorb the wee wees. And again you can adjust this, all depends on much your baby wees. And this lovely nappy to the left is an all in one nappy. This basically means that the insert to absorb the wee is attached to the nappy, so this is the one that is probably more like a disposable nappy, more convinient for places like nurseries to use. One other nappy type which I haven't got a picture of is a two part system which I would highly recommend for use of a night time. This is wear you have a nappy and then a waterproof wrap to put over the top of the nappy. 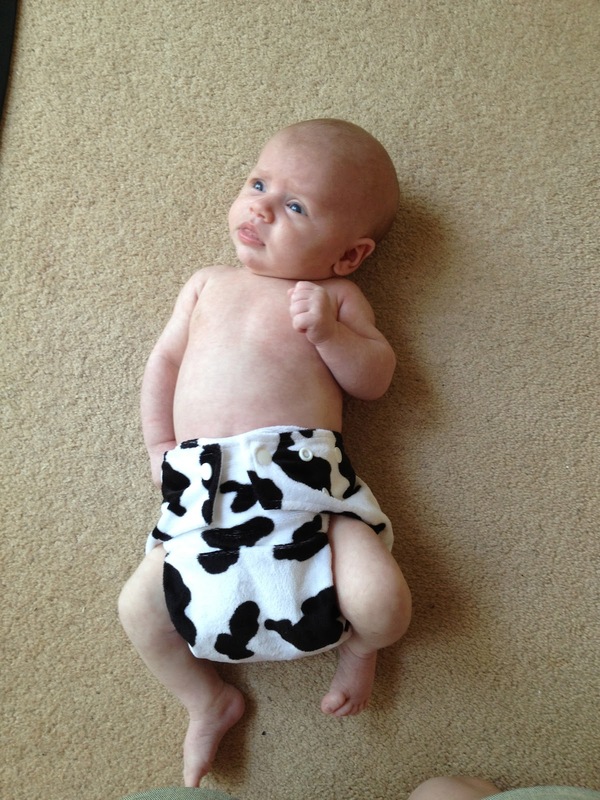 Bamboo nappies are great a t night because they are very absorbant!! With all cloth nappies I would advise using either a disposable or a washable liner inside, this will catch any poo poos and stop the nappy from getting stained. I always use washable fleece liners in mine, nice and soft on babies bottom and they just go in the wash with the nappies. For more information on cloth nappies I recommend having a look at the GoReal website, this really helped me when I was just starting out.